The cooling ponds for the steelworks power station. 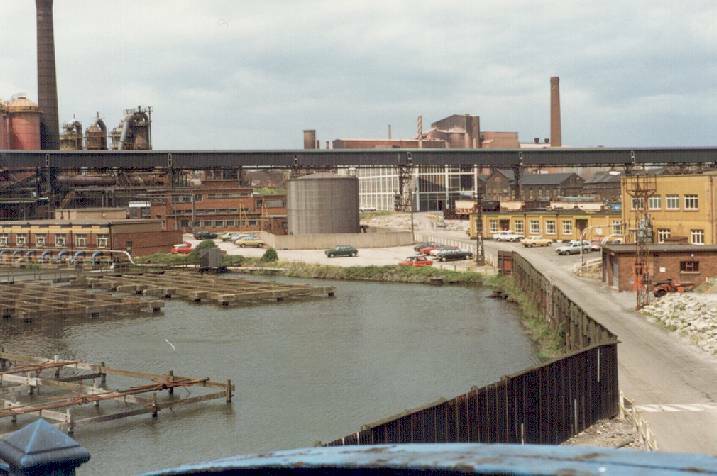 The coke conveyor from the coke-ovens to the blast-furnaces is prominent, and the sinter-plant is visible in the background. The "Pig-Casters" in this vicinity were responsible for the "clank-clank-clank" throughout the night, audible even on Newlands Lane, where I lived as a child.